Well it probably still happens, but the days when Swiss Banks and other offshore financial institutions frequently played host to dodgy scenes of anonymous individuals, nervously shuffling in and out to deposit bags of scrunched-up notes (in multiple currencies), are no longer what the main draw of the typical offshore bank is as it exists today. The truth is there are very few territories in the world which still practice bank secrecy laws to the point where one can effectively cheat on their taxes or conceal their ill-gotten gains. In fact, even if one were to try and move large amounts of money into an offshore account located in an offshore financial centre, all sorts of red flags would be set off during what is a process extensively riddled with red tape. Since you’re not a tax-cheat or a drug baron (I hope) and offshore banks still exist, offering their services to people like you and I, the benefits of offshore banking are worth exploring beyond the stereotypical shady dealings previously associated with the offshore banking industry. Regular, tax-paying and law-abiding folk like you and I can truly benefit from offshore banking without any stigma attached to it and without worrying about coming under undue investigation by the authorities. In the increasingly globalised world we’re now living, it has become common knowledge that wealth can no longer be created by the mere process of tucking your money away in a savings account. Wealth can only be expanded on in this way if you’re already wealthy. What has become increasingly and perhaps a bit disturbingly apparent however is that any money that’s just lying around actually loses some of its value and so is always at risk. Risk management in this day and age is markedly different from risk management a mere two decades ago because a major financial or political event in a country miles away from yours can have a huge impact on the risk associated with where and how you store you money. For these reasons, an offshore bank account would demonstrate good risk management on your side because it would allow you to protect yourself financially or even take advantage of global financial trends that have a direct effect on money by geographic location. The simplest example of this occurrence is currencies, but generally you’d be looking in the direction of one of the oldest patterns in economics, that being when one market rises, another one falls. It can prove to be a very effective way to manage your risk. 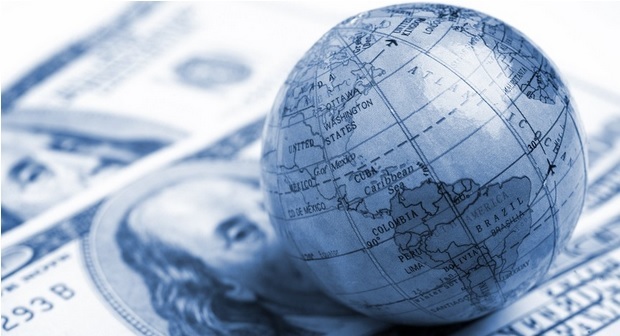 There are many direct benefits associated with an offshore bank account, one of which is the frequency with which you travel to, do business in, or do business with a specific offshore country. You might even want direct access to certain investment instruments or opportunities which are otherwise not quite available in the same way, in your own country. In this case, an offshore bank account has huge cost-saving implications in that you don’t have to go through the red tape of first sending money overseas (with the associated cross-border and foreign exchange service costs), you don’t have to first explain to your government’s tax-collection authority exactly why you want to move a large amount of money overseas, and you don’t have to submit to what can be hefty brokerage fees charged by local financial institutions that otherwise give you access to foreign markets.